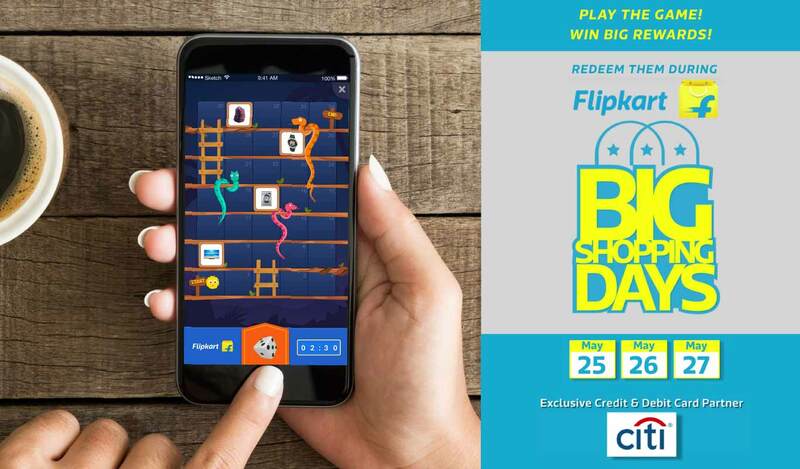 Flipkart stated a new Game to win Ladder and Snake Game.Just participate and win for Great Prices and can earn unlimited prizes. The game can be played 3 times per hour for each users. Play Snake & Ladder Game On Flipkart App & Win Exciting Prizes Like Gift Vouchers, HD TVs, Smartphones & Many More. Now Click On "Big Shopping Days" Banner. Scroll Down & Locate Snake & Ladders Game. b) The timer cannot be paused for any reason. Eg: kill the app, put in background, receive a call or go to some other app, internet connection issue etc. 7. Every time you play the game, the game board layout can change. 10. Reward communication will be sent to you via in-app notifications & emails (if we have it under your account details) once they are applied to your account. There may be a few hours of delay.